The KELC Calendar is available online in PDF format. 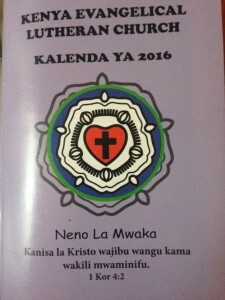 The Calendar is a great resource for the church. The Calendar includes meeting dates, liturgical calendar, and information on all parishes and missions. To access the PDF, click the picture below. The KELC Calendar is a useful tool for all things KELC. In the calendar you will find a schedule of meetings, retreats, and seminars for the year. There is a list of all parishes and missions, as well as a complete list of Bible readings for each day of the year. Please click on the picture to download a PDF version of the 2016 KELC Calendar. ← Merry Christmas from KELC!